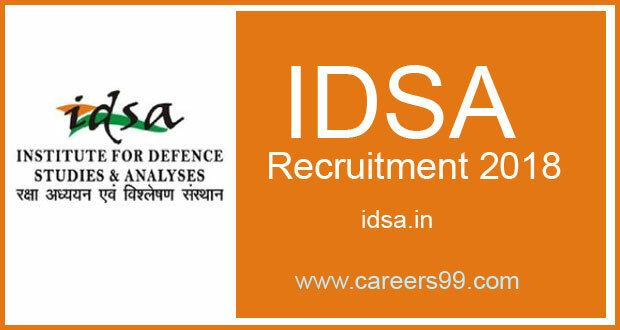 Institute for Defence Studies and Analyses invites applications for the posts of Associate Fellow of 06 vacancies on its official website idsa.in. The details of IDSA Notification 2018 are available at www.careers99.com also. Interested and eligible candidates can Apply Online/Offline before last date of the Notification i.e., 28th Feb 2018. Education qualifications, age limit, selection process and other details are as follows..
Educational Qualifications Ph.D. or M.Phil.